Things are falling apart in the self styled prophet Walter Magaya’s empire as his companies are being dragged to court one by one for contravening the Value Added Tax (VAT) Act. One of his many companies, YADAH Connect Private Limited is in hot soup for tax evasion barely a month after the church PHD Ministries was also dragged to court for a similar offence. 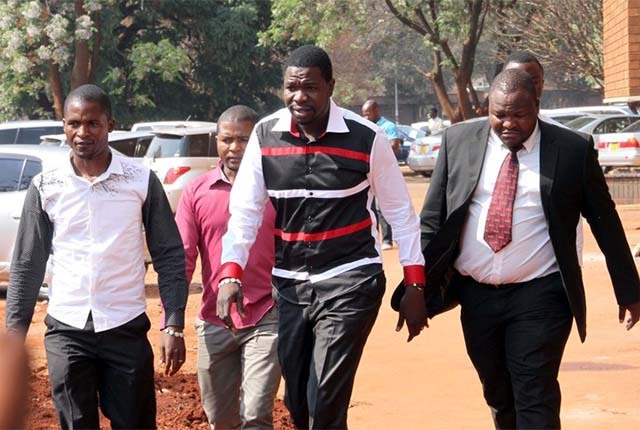 These arrests come shortly after Magaya’s other company, Aretha Medicines was convicted and fined for advertising medicines which he claimed was the new HIV cure without following the proper procedures. The man of the cloth recently completed the construction of a $90 Million flamboyant hotel. Apart from the convicted Aretha Medicines and PHD Ministries, Yadah Connect Private Limited is being charged for failing to pay tax to the Zimbabwe Revenue Authority (Zimra). However, Yadah Connect Private Limited is being represented by Tawanda Aegidio Taruvinga the company’s financial manager who is being accused of failing to submit income tax return after realizing revenue of US$1 95529.60 for the period extending from 1 January 2017 to 31 December 2017 on count one. On another count, the company has allegedly failed to apply for registration for Value Added Tax, (VAT) with Zimra without any reasonable cause. Tinshe Madakadze, Zimra chief investigations officer said that the investigations further reviewed that the accused Had No Record Of All Goods And Services From Suppliers or supplied to customers as provided for in Section 62 (2a) of the Value Added Tax Act. According to the state papers, the matter came to light in October 2018 after Madakadze had done investigations and discovered that the accused had realized revenue and the evidence was with the Grain Marketing Board receipts vouchers, but the accused never submitted tax. On another matter, PHD being represented by Nelson Tawanda Marimo, was also hauled before Harare Magistrate court before Magistrate Learnmore Mapiye for failing to pay tax to Zimbabwe Revenue Authority, Zimra, after investigations proved that PHD has made millions of sales from selling church products. The state alleges that PhD raises revenue from selling church regalia, anointing oil and holy water as well as operating a guest house at Yadah hotel. It is the state’s cases that sometime in October 2018, Zimra conducted tax investigations and recovered financial statements from PHD extending from 2013 to 2017. Financial statements were also recovered from the Commercial Bank of Zimbabwe (CBZ) which were submitted by accused for a loan application. The statements showed that PHD had realized sales amounting to US$28 706 040 million during the period 2013 to 2017, and during that period, the accused did not submit income tax returns to Zimra. On the second count, during the same period it is alleged that the accused paid remuneration amounting to US $950 522.99 to Tendai Magaya through bank transfer into her personal Stanbic Bank account. PHD also transferred remuneration of US $2 403 658.24 to Walter Magaya’s Stanibic Bank account on both occasions PHD evaded tax by not paying PAYE (pay as you earn ). It is alleged that PHD had no records of all goods and services, that is sales and purchases, which is a violation of VAT. It was discovered that on VAT returns for the said period, PHD failed to declare the exports he made and had submitted VAT returns with false entries again violating the VAT Act. The matter is within the court now for trial commencement.